Situated in Charlotte, this property is 1.2 mi (1.9 km) from PNC Music Pavilion and 1.6 mi (2.5 km) from University of North Carolina at Charlotte. UNC Charlotte Botanical Gardens and Shoppes at University Place are also within 3 mi (5 km). This family-friendly Concord resort is within 2 mi (3 km) of Concord Mills, Sea Life Charlotte-Concord, and Rocky River Golf Club. Charlotte Motor Speedway is 2.1 mi (3.3 km) away. Situated in Charlotte, this property is 1.7 mi (2.7 km) from PNC Music Pavilion and 2.2 mi (3.5 km) from University of North Carolina at Charlotte. UNC Charlotte Botanical Gardens is 1.9 mi (3 km) away. Located in University Place, this hotel is 0.3 mi (0.5 km) from Shoppes at University Place and 1.5 mi (2.3 km) from University of North Carolina at Charlotte. UNC Charlotte Botanical Gardens and Electrolux Corporate Headquarters are also within 3 mi (5 km). 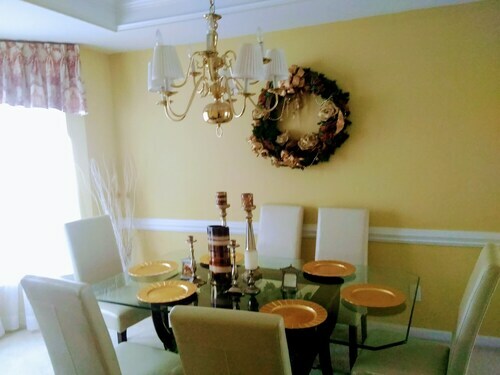 Situated in Charlotte, this vacation home is close to UNC Charlotte Botanical Gardens, PNC Music Pavilion, and University of North Carolina at Charlotte. Local attractions also include Reedy Creek Nature Center and Preserve and Shoppes at University Place. 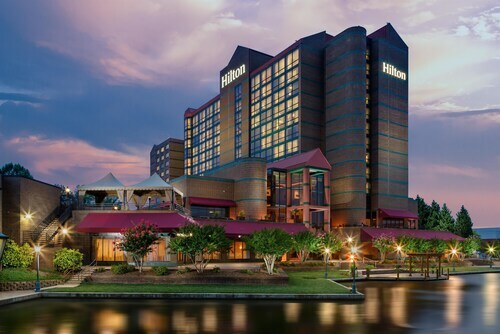 Situated along a lake with a boardwalk, boutiques, and restaurants, this hotel is a mile from the University of North Carolina, and a short drive from Charlotte Motor Speedway and downtown. Situated in Concord, this hotel is within 1 mi (2 km) of Rocky River Golf Club, Charlotte Motor Speedway, and Concord Mills. Hendrick Motorsports Complex and Sea Life Charlotte-Concord are also within 2 mi (3 km). This Concord hotel is home to the 18-hole Rocky River Golf Club, just half a mile from Charlotte Motor Speedway. Downtown Concord is within 8 miles. The Concord Convention Center and many local corporations, including Electrolux, are easily accessible. 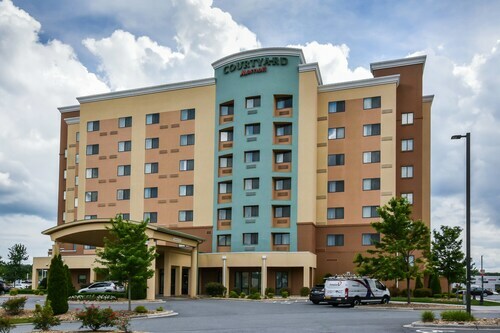 Situated in Concord, this hotel is 1.2 mi (1.9 km) from Concord Mills and 2.1 mi (3.5 km) from Charlotte Motor Speedway. Hendrick Motorsports Complex and Rocky River Golf Club are also within 2 mi (3 km). Situated near the airport, this hotel is within 1 mi (2 km) of Hendrick Motorsports Complex and Concord Mills. Charlotte Motor Speedway is 1.6 mi (2.6 km) away. Situated near the airport, this hotel is 1 mi (1.7 km) from Concord Mills and 2 mi (3.2 km) from Charlotte Motor Speedway. PNC Music Pavilion and University of North Carolina at Charlotte are also within 9 mi (15 km). Located in University Place, this hotel is 0.7 mi (1 km) from Shoppes at University Place and 1.3 mi (2 km) from University of North Carolina at Charlotte. UNC Charlotte Botanical Gardens and Electrolux Corporate Headquarters are also within 3 mi (5 km). You're bound to have a memorable experience at PNC Music Pavilion. We're sure you won't need much convincing to go see it in Charlotte, as it's an exciting city to explore in its own right. Travelers looking for someplace convenient to stay a few nights can pick from 36 hotel options within 6 miles (10 kilometers) of PNC Music Pavilion. 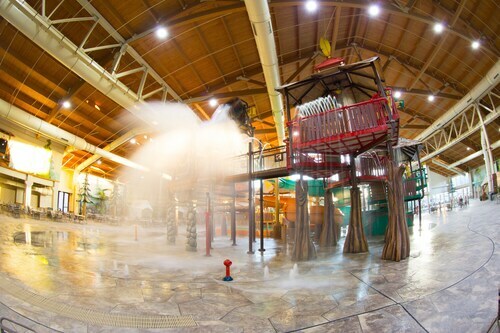 The Great Wolf Lodge Concord Charlotte and Embassy Suites by Hilton Charlotte-Concord-Golf Resort & Spa ought to give you at least some of the comforts of home. 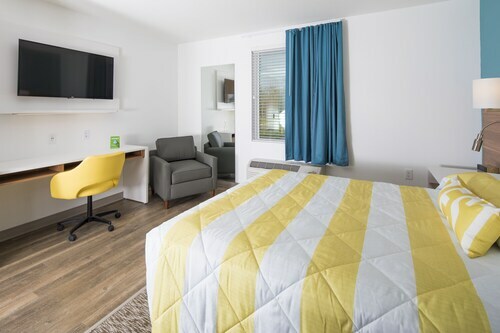 The area's budget-friendly accommodations will provide you with everything you need at a price that will make you smile. 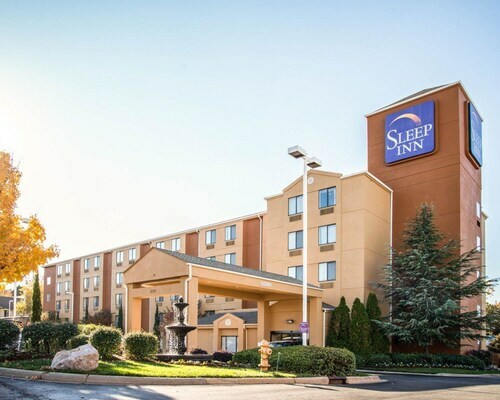 You can have a look at the Sleep Inn & Suites at Concord Mills and the Sleep Inn University Place. Purchase your tickets and make your way to Verizon Wireless Amphitheatre for a music show, a food and wine festival or a show for the whole family to enjoy. Be inspired by the vibe of this urban area when you see the down-to-earth creative displays at Cajun Canvas. Explore UNC Charlotte Botanical Gardens and marvel at the various trees, flowers and plants. Travelers of all ages will learn something they didn't already know about their favorite flora. Younger travelers will surely have oodles of fun when playing the putt-putt golf course at Lost Duffer Miniature Golf. Schedule a guided tour of University of North Carolina at Charlotte and watch as the anxious pupils and faithful professors run around this bustling institution. How Much is a Hotel Room in PNC Music Pavilion? Hotels in PNC Music Pavilion start at $45 per night. Prices and availability subject to change. Additional terms may apply.